#1. The Hard Working developers – Primarily, top businesses have top developers engineering an effective strategy & website pages. Every business website also supports an effective campaign. Without a website you are losing the most paying clients who are active online. #2. Who’s Keeping Scores? –The online industry may look calm for an outside viewer for website developers like us it is a competition ground where top SEO ranks, efficient landing pages, website’s social media activeness are points based system; Where every day they need to be maintained and increased for effective ROI for clients. This also leads to more networking through which interested buyers/sellers approach the client. #3. The Market –The local and global market need your online presence not only for support and business dealings, but also is a true mark that you are successful and have a “good client base”. These are hints your potential buyer/sellers are looking at, when they choose a trust worthy business or partner. #4. Devices – and lots of them in many shapes and sizes require your websites to be actively adapting to their ever-changing dimensions. 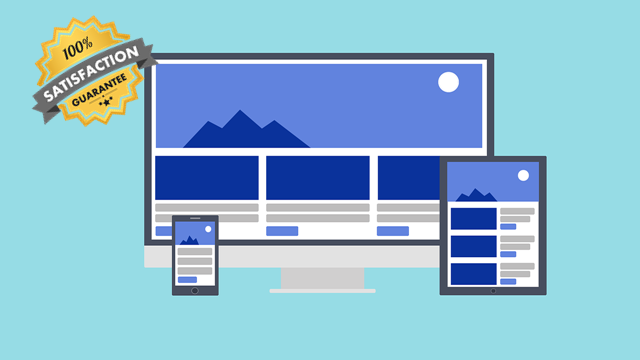 A responsive website that loads fast, is best bet to connect to all customers whether they have a 27” ultra HD monitor or a network supported smart phone. Operating system – there are similarly many operating systems that run the above devices. To be able to connect with the said customers irrespective of OS or browser constraints is what keeps websites and the website business alive now. Another valid reason is that the learning curve for opening websites using links is zero to nil and everyone will have had used a computer in their life time (it’s 21st century and it has its perks). A WordPress site or Custom PHP/HTMLWebsite will do the magic for your business! #5. Client satisfaction – To get the fullest client satisfaction, support &client investment requires a website, no doubt, but one that works on all platforms/devices and engages potential business head on, that is overpower and brings in more business opportunity; since happy clientswho are actively online won’t hesitate to reference you and link other clients back to your site and its services. You may want that old website of yoursto have an extensive face lift.